Alpha GPC Can Naturally Increase Growth Hormone Levels! If you haven’t heard of a supplement called Alpha GPC I suggest you pay attention. Alpha GPC is an over-the-counter-supplement with nootropic and anabolic benefits. Basically, it can increase your focus and muscle at the same time. Alpha GPC is a refined version of a nutrient called choline. Choline is in all of our bodies naturally and is a precursor to the important brain neurotransmitter, Acetylcholine. Acetylcholine is responsible for such actions as learning, memory, coordination, muscle memory and many more important functions completed every day. Acetylcholine is necessary for us body-builders when lifting and preparing for work-outs. It is estimated that only 10% of the population reaches the recommended daily intake of Choline. Luckily, as bodybuilders we eat a lot of eggs and protein. Natural choline occurs naturally in eggs as well as a select few types of meats and other protein sources. With this said, supplementation with Alpha GPC as an alternate choline source is still a good idea. It has many benefits other than increasing cognitive function. It has been shown in studies to naturally increase Growth Hormone levels by up to 200%. 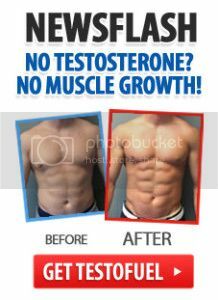 Obviously as a bodybuilder, you know how beneficial this can be for muscle growth. Growth hormone is anabolic and great for muscle growth and repair. Using choline to increase GH levels is an all-natural and excellent way to multiply anabolic function in your body without using other unnatural and unhealthy options. Alpha GPC raises GH levels by stimulating the release of Growth Hormone Releasing Hormone (GHRH). GHRH is activated via the glutamate pathways in the brain. This stimulation is believed to be completed during the Acetylcholine conversion. There are other supplements that increase Acetylcholine levels but do not increase GH levels so it is not fully understood why Alpha GPC has anabolic properties whereas other Acetylcholine precursors do not. All in all, Alpha GPC is a great supplement for the average person. For bodybuilders and athletes it has great benefits that should be considered. The focus and concentration it provides are excellent during hard-core workout sessions. It is great to stack with other nootropic supplements like Piracetam or Aniracetam. These supplements are very popular in the bodybuilding culture. They provide many benefits to the health and brain. Stacking with Alpha GPC will amplify their effects to the maximum level by providing synergistic efficiency. If you are looking to purchase pure Alpha GPC powder or any other nootropic powders for that matter, an excellent vendor that supply’s GMP certified quality nootropics is AdvanceNootropics.com, check it out!